A 90th minute penalty for Reading sent this FA Cup 3rd Round replay in to extra time, before a Reading winner ensured that Liverpool would be knocked out of this season’s competition. It’s a sign of the state the club is in that the pre-match talk was about our brand new free signing. 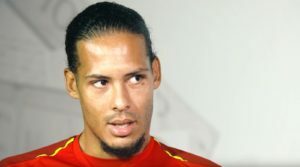 A player Atletico Madrid didn’t even want us to pay for, as Maxi Rodriguez was unveiled as the latest Liverpool player. His first game watching his new club will live long in his memory. 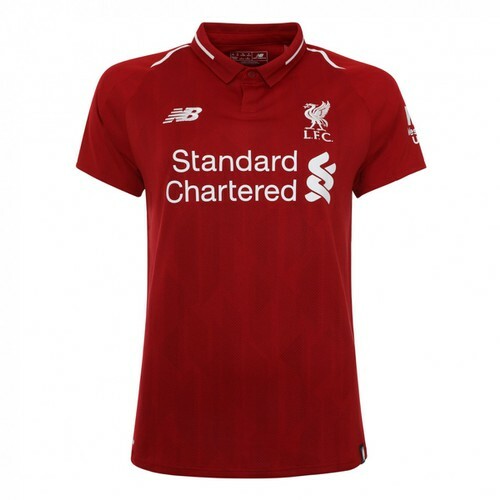 Liverpool started reasonably well with the 4-5-1 formation, and spent a large portion of the opening exchanges in the Reading half. Reading seemed to be playing on the counter attack – a strategy they used for the whole game. Despite the possession chances were rare. Torres was withdrawn in the first half with a suspected knee injury. David N’gog was sent on but was seeing little service from the wings and an anonymous Steven Gerrard. Liverpool started to struggle with their passing and movement. At times last year Liverpool looked fast and smooth on the pitch, tonight they were looking laboured. Just before half time the reds broke the deadlock when a Steven Gerrard cross deflected off Bertrand in to the Reading net. The captain failed to make it out in the second half. Another injury. 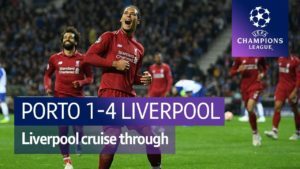 Ironically with a return to a more 4-4-2 formation, Liverpool looked far more dangerous in the second half and a bit of fluidity returned to their passing. However, N’gog and Kuyt, do not add up to a Torres and once again the final delivery wasn’t good enough. Players seeming frightened of putting the ball in to the box, or even shooting when an opportunity arose. 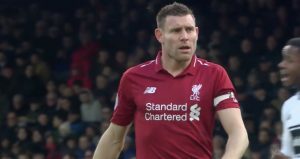 As the half wore on Liverpool began to fade and McAnuff waltzed through the Liverpool midfield and defence and should have done better than put his shot wide. In the 90th minute Reading were awarded a penalty which they converted to send the game in to extra time. The tables had turned and now Reading were buoyed. Gunnarsson nutmegged Insua and sent in the cross that was headed in to the Liverpool net. 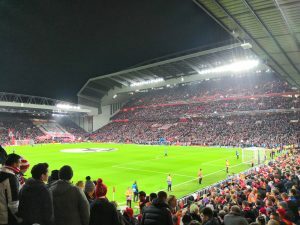 The reds spent the rest of extra time searching for the equaliser – having two glorious chances that weren’t taken – summing up the night. More injury problems for the reds and there will be no FA Cup this year. 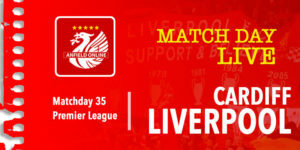 The reds travel to Stoke in need of not just points but a performance. Rodriguez, Riera and Mascherano could all be involved. cant understand how a team can implode so fast. hey i forgot something most of our players have signed long term contracts. thats usually the time to put there feet up and not play for rafa. move some bright new prospects up the ranks and start to rebuild,re pacheo,kelly,, and there are some others to mention. aging stars just dont cut it anymore a liability. heads have to roll thats for sure. This is gettin’ really ridiculous now! I honestly would not want to be Purslow now. Just a year ago I watched us score a late goal at Craven Cottage to go within 3 points of Man U and I honestly thought there were brighter days ahead but football is a funny game. Benitez is more than capable of turning it around even without much funds available and maybe next season will be a better season for us and the disaster that is this season will be a distant memory but what the players and Benitez needs now is the support of the best fans in the world. The Reading lads played with passion, fire and a belief. So technically (they say) not up to premier standard ? – well, give me their spirit. Pool lads – watch a few Irish hurling videos – see real passion – these boys do it for nothing – just the pride of wearing the shirt! Carragher played like his life depended on a win in extra time,its a shame some of other players cant absorb his passion for the club / badge / fans / history.We dont seam to start with a high tempo any more.I think Babel would benefit from a half season loan to a spanish team to develop his game and Pacheco take his place.Reina was badly missed.Not enough shots at goal.Bad positioning throughout the game,players bunching up and not making themselfves available for a pass,very little creativity.I would like to see more running down the channels with shots at goal from every player every game.We dont score enough goals from corrners/throwins/free kicks,zoneal marking should be replaced with two defendes on th line/posts and man mark. Lets look on the bright side. we wont finish in the top 4 we will get knocked out of the eufa cup soon . We will have to start all over again with a new manager new owners and a whole new team. As a Chelsea fan, nothing pleases me more than to see Liverpool humiliated, however, even I feel compassion for the likes of Stevie G. He is a world class act. You need anew manager or he needs a new club. YE well we can’t just go out and buy a quick fix like you lot can we ? If we all had billionaire owners everything would be an easy fix but we can’t like you did with Scollari and change our season on a sixpnce !!!! Save yourself a rail fare. Come and see a real club around the corner. Were’s that then lad ? no thanks ill stick with my red men ! plus i only need to catch the bus to Anfield or walk, see the odd thing is im actually from liverpool lad, ‘real team’ gimme a break ! don’t miss ur flight back to russia ye ….. I have followed Liverpool and their developement into a world class football club over four decades. Liverpool always signed players with the basic qualities required to play for Liverpool,the ability to keep possession pass the ball and run your heart out .With these qualities and their own specific skills according to what position they played they fitted seamlessly into the team philosophy.Unfortunately Mr.Benitez over a period of time has totally dismantled the Liverpool philosphy and team to replace it with players with none of these qualities who play without direction and a purpose with one or two exceptions. Sad to see the demise of such a great club that had recently resurrected itself back to where it once was,at the top. I went through a whole range of emotions in the last 20 odd hrs, at full time i was angry and disgusted then i became sad trying to see a positive but there was no light at the end of the tunnel . Now with rumours that Torres is out for six weeks, Gerrard for four and Yossi, yes Yossi out for six weeks also ( dependant on these rumours being true ) our season is well and truly over. With no one even remotely looking like stepping up from the rest of the squad and some players going backwards and an overall effort level worse than a team struggling at the bottom of the championship where and what do we do now ? Iv been saying this all along. We are too european and have lost true british fighting spirit we need to compete domestically, with no true hard men anymore (Mash apart) we have very little in the way of of stopping a team playing. In Shank’s day his teams backbone was predominantly scottish with the likes of ST John and Yeats, colossal men from what iv read (i was too young to see that great team) and we have nothing like that at the moment…. Why are we surprised at last night, we hav’nt had a solid team for 5 years & have only survived by Gerrard driving the rest on & playing like 4 men. The Club has been a shambles since the Yanks arrived, full of false promises, lies, & not nearly as much money as they pretended. They only bought LFC as an investment & thought they would move-it-on for a fast buck, but held out for too much & are still here. It has to be the end of the line for Rafa. He has run out of ideas about team selection and tactics. As for his choices in buying players…… Lucas, Babel, Insua, that 34 year old Greek defender, 20mil for Aquilani? Need I say more? The Yanks shouldn’t worry about having to cough up 10mil to pay him off, it will be money well spent in the long run. If they act now and get someone else in, they may still get into the top four and qualify for the ECL next season.That way, they will recoup their money. If they leave things as they are, Liverpool will be lucky to finish 12th. 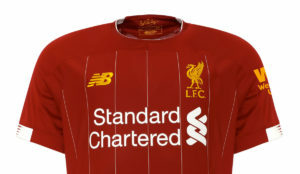 I have watched Liverpool since Shankly’s days, and I can only say the likes of Insua, Kuyte, Lucas, Babbel, are just not good enough to put on the red shirt of Liverpool. even Carragher, seems to only want to retain the ball by passing back, or sideways. It was only in extra time he went forward, but our strikers, if you can call them that, where not in the right possitions, and did not have the control to do any damage. Lucas, every fifty fifty ball, he had no commitment, when he lost the ball, he had no determination to try to get it back. If Torres, and Gerard, need an opperation, let them have it now, and get it over with, and hope next season we can all start fresh and fit. Humiliating….Barnsley, Everton, Reading. Time for Regime Change and I don’t care who writes the dossier these are desperate times. Can’t someone, somewhere do something? This is Liverpool FC our Liverpool FC and it can’t go on. We lost our way in the second half when Rafa put Kuyt back on the wing and played Egg-nog of Babel. Kuyt was playing well as the second striker and was involved in most play. As for Insua, sorry but the lad can’t defend and looks nervous going forward. What has Fabio done wrong??. This kind of result is just not acceptable. Not a happy red, just like many many more!!!! What a state we are in! Liverpool play worse than a team struggling in the Championship! Where do we go from here? There were no positives from last night, it simply exposed the fact that the Liverpool team is just not good enough. Low morale, little effort, poor quality, no creativity. Our only hope for salvation – pick up a few players on FREE TRANSFERS! It is one thing to say we need new owners, or we need a new manager, or we need half a dozen top quality new players, but it begins to look impossible when we need all of these things to happen fast! A F@*KING JOKE boys and girls ! that’s what we are and that’s what we will continue to be !!!!!!! Oh dear oh dear oh dear…………………………. I wont be the first or last to say this today…Rafa must do the honourable thing TODAY and leave. Jose in and lets get back to winning ways. Rafa has had the money and the time to build a squad and he hasn’t. Go away Rafa..you are the fake..
Oh dear. After another diabolical performance I think we my have to start thinking about moving Rafa on. I think we’ve had some incredible moments with him, but we are lurching from one disaster to another. I appreciate that he has been severly hamstrung by the Americans who, despite being Billionaires, wont give him a penny of their own money, but the sad fact is, that we have a squad that is more than capable of beating a struggling championship side over two games. It seems Rafa’s detailed, methodical approach has lost the team, and its sad to say, that we need a new manager in, pdq! As an Arsenal fan I enjoyed watching Liverpool lose the odd game here and there giving us a chance but now I don’t know anymore. I really feel for what Benitez must be going through knowing that the team are not playing to keep him in his job. I feel for the fans who are loyal enough not to deserve the owners and the displays they pay to see. I feel for the players also, it must be hard not knowing where to play, how to play, when they are playing and that whatever they do its just not working. Its sad to see Rafa so dispondent after a very promising managerial career and I think he needs to take some time away from the game. I can’t tell the fans what the future holds but I hope that they stay a title contending team.